The BMF said it had no doubt that Titi will add significant value in his capacity as the joint CEO and will be at the forefront of driving transformation at Investec. Mncane Mthunzi, the President of the BMF said they applaud Investec for making a contribution in driving transformation at executive level. “Mr Titi’s appointment highlights the benefits of converting a non-executive director to an executive director in a company,” he said. The BMF said as a current non-executive director at Investec, Mr Titi is already well versed in all aspects of the company. “The conversion makes sense for companies to leverage high performing and thought-leadership that already exists within its board and use nonexecutives as a talent pool to fill vacancies at executive levels,” read a statement. The BMF also stated that the conversion of non-executive directors to executive directors will accelerate black talent and help top management in organisations to reflect the demographics of our society. 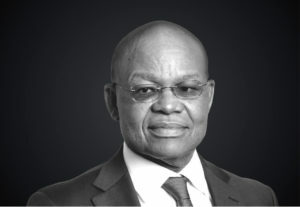 “Whilst we applaud Mr Titi’s appointment, the BMF is opposed to the joint CEO arrangement that Investec has opted for. We are against such an arrangement as it does not add any value to the bottom line. It also adds unnecessary additional costs as two people are being paid to drive a single bottom line,” said Mthunzi. Transform SA in conversation with Nompendulo Mkhatshwa about student movement. © 2019 Transform SA – The leading Transformation Magazine.